Baton Rouge's Chorum Hall welcomes acclaimed pianist/organist Joe Ashlar, who has been performing professionally around the US and internationally since age 10. 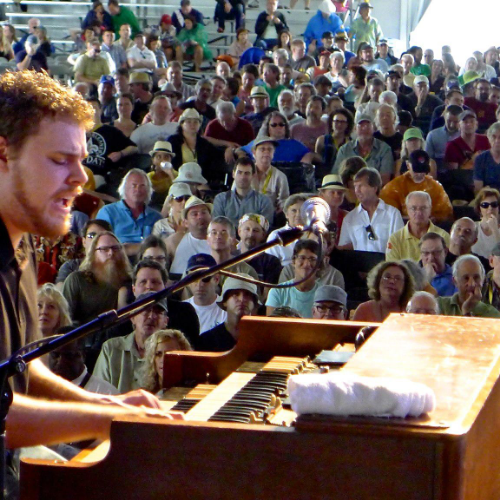 Recently Joe has become a regular on the New Orleans music scene, playing Hammond organ for music legend Dr. John. Joe Ashlar, originally from Connecticut, began piano studies at the age of four years. He has studied with the great Dr. Lonnie Smith and has become a prominent piano and organ player on the New Orleans jazz scene. He is a member of the insanely funky band; Good Enough for Good Times. He also leads his own band, the Joe Ashlar Organ Trio. Joe’s trio includes himself, Doug Belote (d), Brian Seeger (g) and special guest Brad Walker (s).